Gladiator is one of the most proven, if not the most proven, throwing bucks ever in the state of Texas. Gladiator has thrown many awesome breeder bucks and can be found in many of the great sires pedgrees out there such as Gladiator Grande, Express, Gladiator II, Gladiator III, Guapo Gladiator and many more. 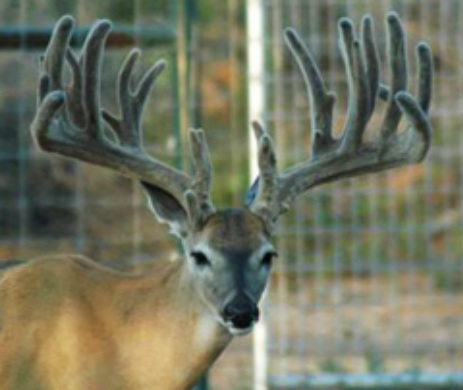 Gladiator is almost all Texas and tends to throw very nice width, multiple tines and his bucks tend to mature quickly. If you are interested in offspring or bred does to Gladiator, please contact us or give us a call.